I visited this facility, and I was very impressed with the staff. The staff members were friendly and helpful. There were a few staff members who appeared to be distracted when I encountered them, but most were smiling, friendly, and made me feel like I was a valued prospective customer. The facility provides healthy meals. They are very family friendly, and family members can visit and eat with their loved ones. There were activities planned for residents on and off site that keep the residents active and social. My family member enjoys having her hair styled. This facility has visiting stylists who come to style residents' hair if needed. You do have to pay extra for this service, but it is a great treat once in a while. The price was moderate in comparison to similar properties, but I felt like it was worth it. I would recommend this facility to any family looking for a place that have rehabilitation services and activities that are cognitively stimulating. I would like to see more activities that residents can engage in that increase physical endurance as well as activities that foster creativity. I was pleased at how clean the common areas and entry were. This is a very important factor for me in locating a facility that cares about the health of its residents. 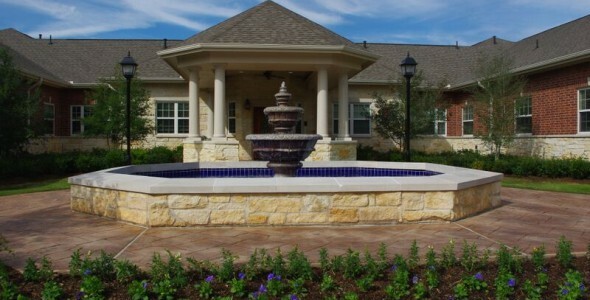 The property is in the top tier of the Houston area senior assisted living facilities. The staff provides all the resources you need to make an informed decision upfront, so there are no surprises. They also explain anything that may be confusing or unclear. Autumn Leaves of Meyerland has wonderful residents that are friendly and sociable. They made my loved one feel at home from the first day that she visited. The staff was willing to provide a tour, and they welcome any suggestions. This facility is not extravagant. Instead, it is warm and homely. If you are in search of a long term community in a great location, put this property on your list to visit. It is important to call first to assure that someone will be available to provide you with a personalized tour. The best way to get to know a community is by scheduling a tour. See the facilities, meet the staff and residents, and get a feel first hand what it's like to live at Autumn Leaves of Meyerland Memory Care. Many communities provide memory care along with delivering assisted living and skilled nursing services, but at Autumn Leaves of Meyerland, we focus solely on caring for seniors with Alzheimer's and dementia. What this means is our residents are cared for by staff who are specially trained in dementia care and can provide one-on-one support when needed. Being the best and preferred memory care provider for families needing quality care for a loved one is our mission at Autumn Leaves. Our company owes its origins to two families who were driven to provide care to seniors with memory impairment. More than 20 years later, Autumn Leaves has remained true to this original mission and continues to provide the unsurpassed care that families can depend upon. Themed neighborhoods and natural light-filled rooms are just two examples of the design features which create a relaxing and safe atmosphere for residents of Autumn Leaves of Meyerland. Our staff offices are also centrally located, and because of our open door policy, residents are welcome to visit any time. The central courtyard is also visibly throughout the common areas, which promotes normal day-night rhythms. Your loved one can choose from among several suite floor plans, and there is also an option of private or companion suites. Families are welcome to bring personal treasures to make the space feel homey, and we can provide furnishings if needed. The suite has everything residents need to live comfortably while families appreciate the safety feature of an emergency call system. Every day our culinary team crafts delicious meals that entice all the senses, which is important because dementia can negatively impact a senior's appetite. Only the freshest meats, produce and seafood are used and all meals are prepared from scratch, which makes the meals even more scrumptious. For fresh-baked cookies and snacks, residents can visit Danny's Diner. To further relieve our residents from the stress of responsibility, we handle housekeeping and laundry. In conjunction with our memory care, we also provide assistance with activities of daily living including dressing, mobility and bathing. To ensure that we are delivering the care which residents need, we perform regular assessments to monitor any changes in health. For the unparalleled memory care which families are seeking for their loved one, they turn to Autumn Leaves of Meyerland.